The original Lucky Patcher is the version developed by ChelupS. This version can be downloaded directly from Malavida or going to the product’s web page at https://www.luckypatchers.com/. To find out whether you’ve downloaded the appropriate version, you have to go to the drop-down menu that you’ll find in the upper right hand-side of the interface. Select About and there you should see About Lucky Patcher by ChelupS, which indicated that you’re using the original app. You can also find more information about the latter, such as the latest version or the tool’s changelog. 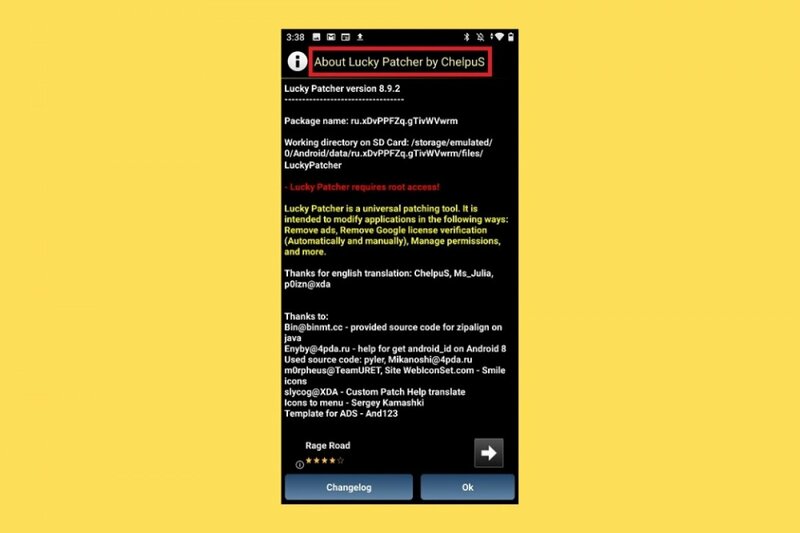 Lucky Patcher is a tool created to modify Android applications in different manners: removing adverts, removing Google’s license verification or managing permissions, amongst other functions. As you can imagine, this application can’t be downloaded from Google Play as it goes against the store’s legal conditions that Google obliges its developers to comply with if they want to upload their developments. Furthermore, we have to bear in mind that many users use this app to create modified or modded versions that are later offered through different channels, such as unofficial and illegal app stores where we can find paid apps that can be downloaded for free. How it works is very simple and we only have to open the application for it to take care of listing all the apps that can be shown. Those that are susceptible of undergoing some kind of modification will be indicated with the different actions that can be carried out. Those that can’t be modified will be tagged as nothing to patch here.